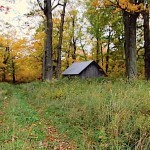 The subject of this video is an abandoned maple syrup cabin in Holland, VT and a few miles from the Quebec/Canadian border. It is one of the last areas of color to change and is usually pretty good around the end of the month on into early October. I took a trip there on Wednesday so as to avoid the effects of rain and wind forecast for Vermont for Thursday and Friday (this kind of weather usually means heavy leaf loss). What is the exact location of this cabin? It was in Holland but now doesn’t exist any more. .It was dismantled. They are/have cut all the trees around this shack and now it has a tree leaning on it right? My wife’s family owns the red house down the street at the T in the road, its part of the B/ farm. 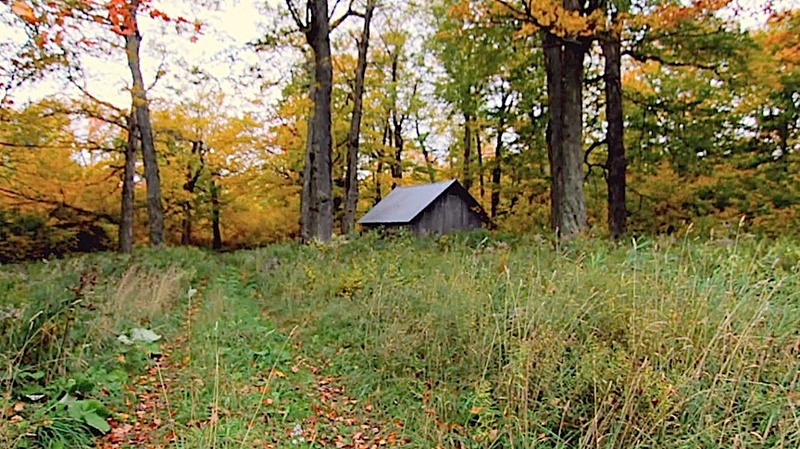 Some of my best fall color pics are of that shack.